With 8 dedicated team members, Spec-Savers Somerset West is able to offer our patients 2 testing rooms equipped with a Fundus Camera. 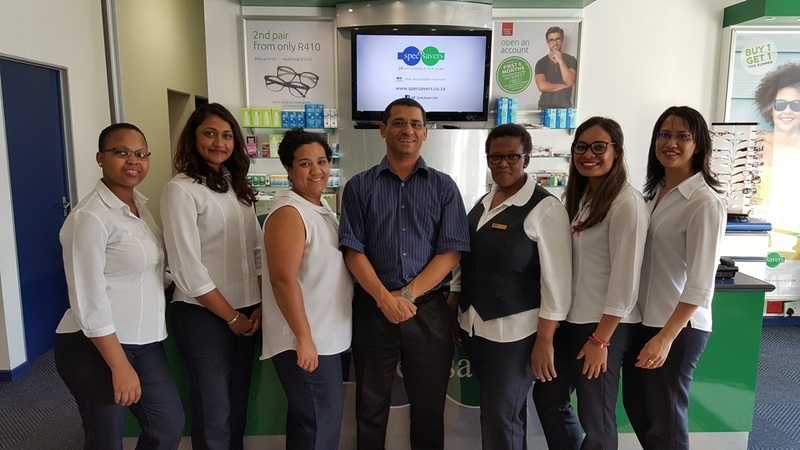 Having opened on 03 May 2001, we have 2 trained Optometrist and a highly qualified team who work tirelessly to offer our patients friendliness, good communication skills and professionalism. We aim to provide a passion for what we do with a focus on, passion for optometry, good ethics and good communication. To put it simply - we view our patients as our bosses. If not for our patients, we will not be able to trade hence they are invaluable assets to our practice. Our roles are to provide our patients with the best possible vision to allow them to perform their daily tasks. We are also there to provide them with information on any eye related queries they may have. We as Optometrists have been blessed with the knowledge to help and make a difference in the lives of others. "If it's meant to be it's up to me. Do not succumb to the momentum of mediocrity."